The old wooden bridge connecting SK Sungai Bakas with the main road, which needs to be replaced. Beluru is a small town located about 70km from Miri. MARUDI: The basic public necessities, especially water and electricity supply, in Beluru near her need to be improved so as to boost the socio-economic growth of this small town. According to Kapitan Chua Bee Chin, the lack of decent amenities is the main reason behind the stunted growth and diminished opportunities for the local community. “The water facility here is unsatisfactory and the supply is insufficient to cater to the growing population. This problem has been raised to the relevant water board,” he told BAT 7 during a brief visit yesterday. The problem, he explained, would get worse during the dry season when taps become dry and water pressure is low. ‘It is a challenge for us to carry out our daily activities, including businesses, which depend on water and electricity (supply). Power trips are very frequent as well. So, food and products that need to be stored in the fridge and freezer could turn bad,” he complained. 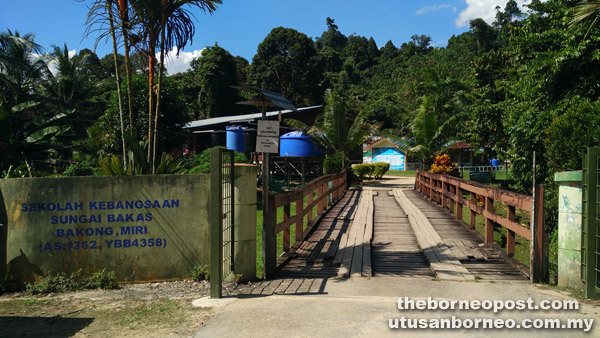 Village chief Abdullah Samat also pointed out that the water supply could be dirty, in that it is drawn from Sungai Bakong. This water source, according to him, is polluted because of the excess materials and waste from the oil plantation, which covers a wide area across this district, as well as the rubbish that ends in the river. 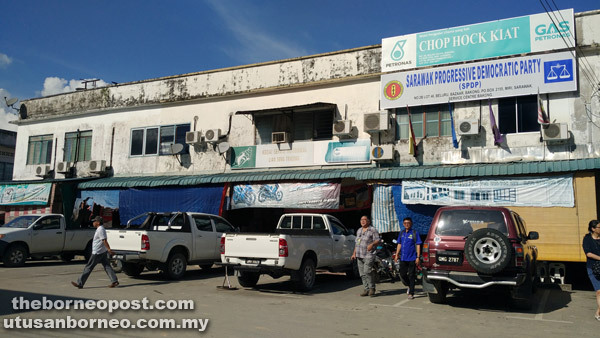 “During dry days, the intake from the source near the muddy riverbed also causes the water to be dirty.” There are 35 units of shophouses in this town, out of which 17 are operated by the Chinese and the rest are for Sarawak United National Youths Organisation (Saberkas). 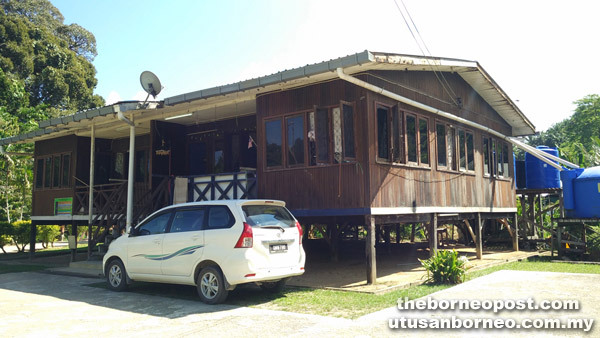 The population in this town, which is about 70km from Miri by road, is roughly 22,000 – the majority of whom are the Bumiputeras. 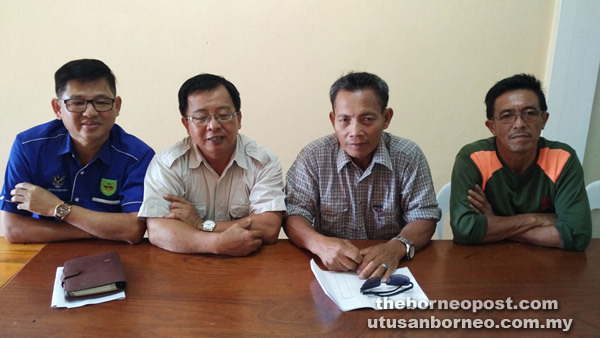 “There are 74 longhouses in this area, but only five have water supply,” added Abdullah. On telecommunications, Chua would want the government to install telephone cables which had been cut off since 2000 due to rampant cable thefts. “We have no landline, which is quite difficult for the businesses here. At the moment, we can only rely on our smartphones. But even with broadband access, the Internet connectivity is still poor and not stable,” he pointed out. Chua also emphasised the need for a hospital to cater for the emergency needs of the people as well as a larger police headquarters and more policemen to enhance the security and safety of the areas and the people. “During the ‘ngiling bidai’ (closing of gawai Dayak) at Rumah Benang Pilang early today (yesterday), Marudi assemblyman (Assistant Minister of Local Government) Datu Dr Penguang Manggil highlighted drug abuse as a serious issue affecting this area – one that deserves our attention,” Councillor Peter Sim chipped into the conversation. Adding on, Abdullah also talked about the urgent need to have proper streetlighting and signages at Kampung Melayu Beluru for public safety. “The road to the village is narrow and people often overshoot because there isn’t any visible signage. We also need more road bumps to prevent motorists from speeding,” he said. Hostel facility at SK Sungai Bakas is insufficient to accommodate the teachers, their families and children. On land issue, Abdullah hoped that the government could speed up the surveying of the Native Customary Rights (NCR) land for individual lots, which the government promised in 2015 but had yet to be done. “The perimeter survey was done in 2005. We are also looking for ways to solve this land problem. So we hope the relevant authorities would act to our request soon. “We have also requested for the extension of road to the back of the ‘kampung’ (village),” he added. SK Sungai Bakas, where one block of the building is severely infested by termites, also requires immediate attention so as to provide an environment that is safe for and conducive to teaching and learning. An English teacher there Izzatie Nadia pointed out that the block housing the classrooms, ICT lab as well as administrative and teacher’s rooms, is unfit for occupation. “The Public Works Department (JKR), which initially came here to do building extensions, found out that the block was unsafe. Still, we have to endure it for now. “The hostel facility is also insufficient to accommodate the teachers together with their families and the children. We’re all cramped together – even those with families have to share with the single ones,” said Izzatie, who hails from Labuan. SK Sungai Bakas headmistress Lim Tanyit disclosed that today, the school has 117 pupils from 17 longhouses under the charge of 12 teachers. She believed that the wooden bridge, which connects the school with the road, needs to be replaced because it is as old as the school, which was built 28 years ago. “Cars, bikes and people carrying heavy loads are afraid to use the bridge, which might not be able to sustain the weight and would break,” she said. The school is also not connected with treated water supply – those staying there depend on rainwater collected inside a number of big water tanks for their daily activities. “The worst time would be the dry season, when the tanks become dry and we would not have water,” Lim stressed. (From left) Sim, Chua, Abdullah and Kampung Melayu Beluru committee member Jeparali Tiong highlight to BAT7 some of the issues affecting the people in Beluru.